ARABESQUE BALLET was founded in 1967. It has now become the most authoritative and prestigious Bulgarian ballet company for modern productions based on unconventional tendencies in modern dancing. The ballet company consists of 16 dancers — 10 women and 6 men. 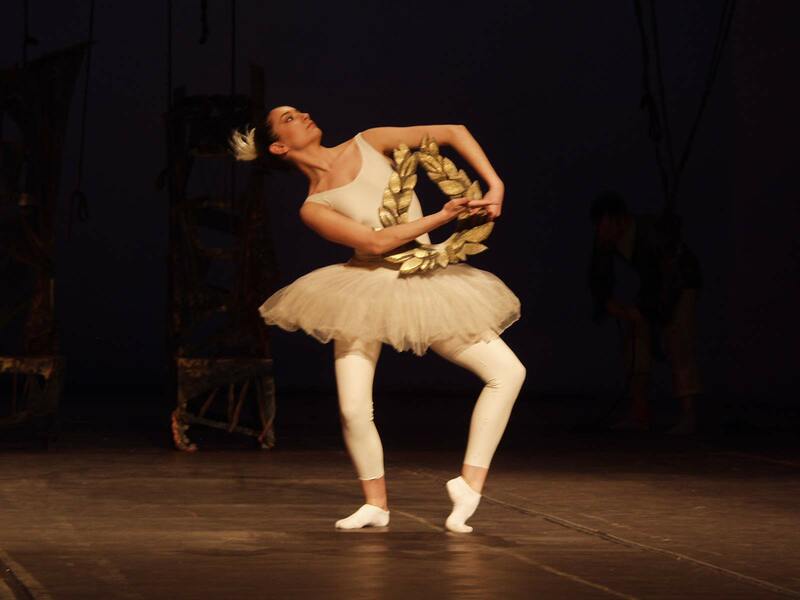 Choreographer Boryana Sechanova has been the director of Arabesque Ballet since 2000. ARABESQUE has had more than 100 productions. 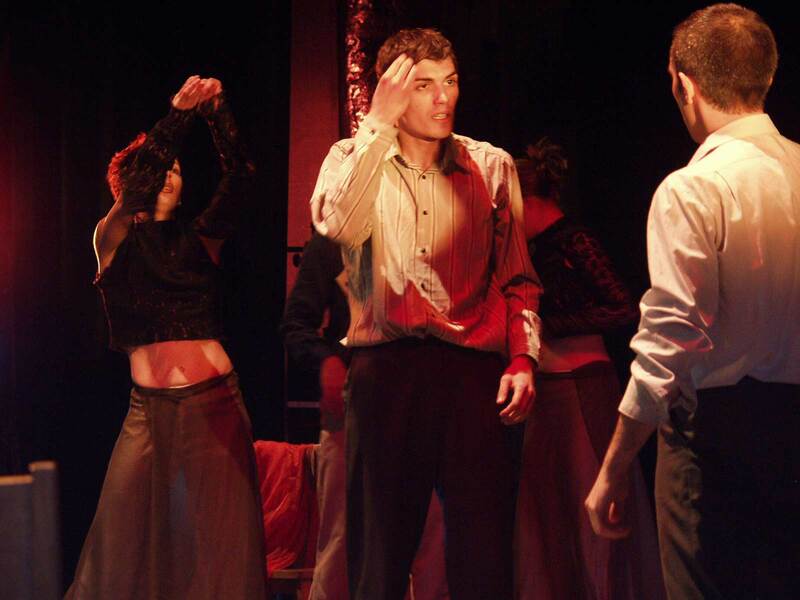 The open stage allows choreographers from all over the world to realize their productions, which contributes to stylistic diversity and a great variety of modern dance techniques. 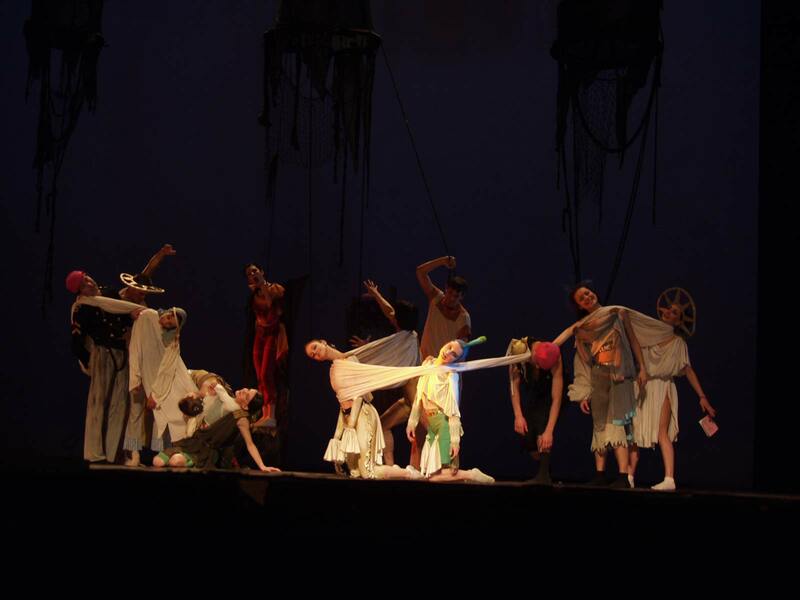 The ballet company has participated in festivals in Bulgaria, such as in Apolonia, Varna Summer, Sofia Music Weeks, the European month of culture in Plovdiv, as well as in co-productions with the Bulgarian National Television. 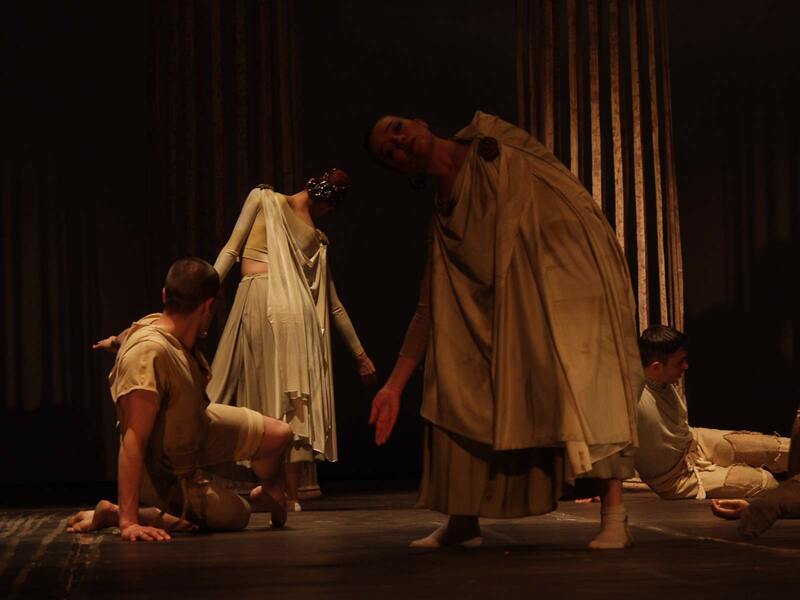 It has also participated in festivals abroad – Dance and Beyond in Detroit, The Danube Cities Festival in Austria, The Ecofest International Theatrical University, the Bregenz Opera Festival in Austria (from 1987 to 1992), Women Artists on Two Seas under UNESCO in Thessalonica, The Euro Dance Festival in 1998 in Iasi, Romania, The Dimitria Festival in Thessalonica, Monmartre in Paris in France in 2002, The Ballet Festival in Istanbul, Turkey, in 2002, Europalia-2000 in Brussels, Belgium. 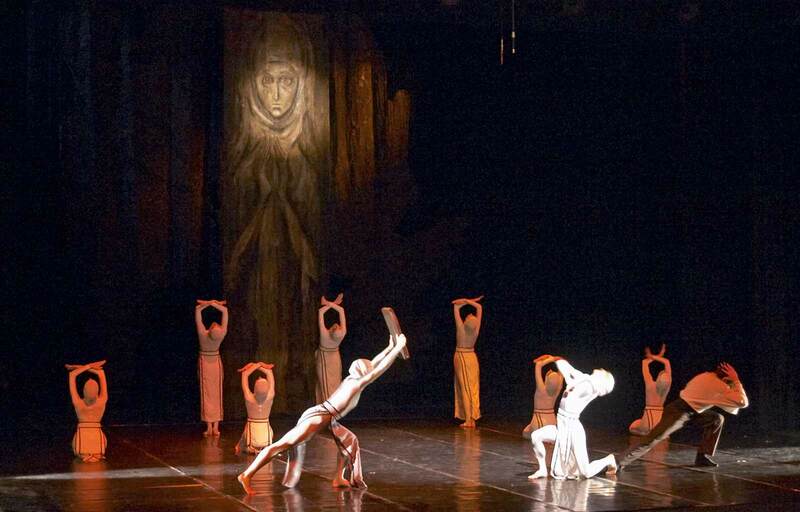 In 2001 the Arabesque Ballet took part in the super production of Aida on the Schalke Stadium in Gelzenkirchen, Germany and on Stade de France in Paris, France. 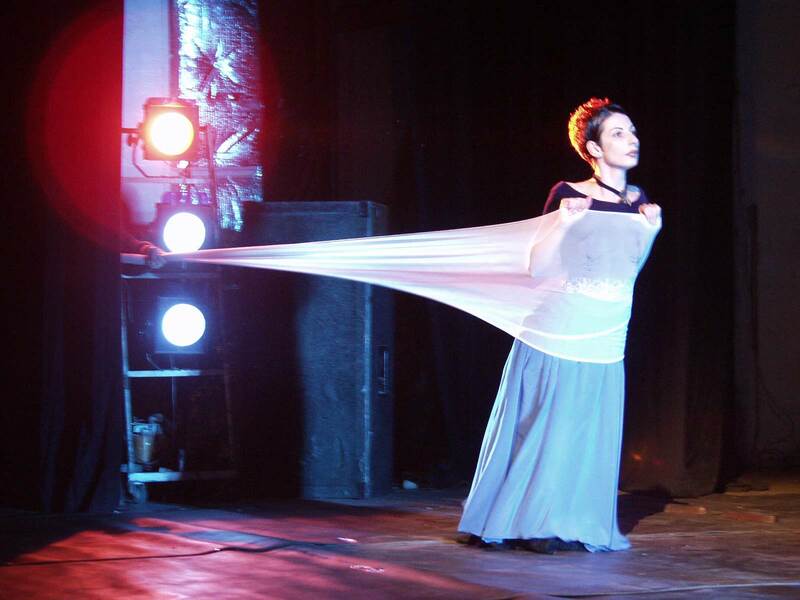 The Arabesque Ballet holds an annual choreographer competition, called In Memoriam: Margarita Arnaudova. Margarita Arnaudova was the ballet director and choreographer for many years. Arabesque has had tours in Austria, Germany, Greece, Zimbabwe, India, Indonesia, Italy, Cyprus, Poland, Russia, the United States, Singapore, Turkey, Hungary, the Philippines, Finland, France, the Czech Republic, Switzerland, Yugoslavia, Romania, Spain, Belgium. Arabesque was first created as an experimental ballet studio. The initiators for its creation were some of the most prominent soloists of the National Opera of Sofia: Krasimira Koldamova, Ichko Lazarov, Ivan Maydachevski, Emilia Kirova, Anastas Samev, Margarita Trayanova, Emilia Dragostinova. All of them, along with Vera Kirova, Peter Parisov and Ivan Trifonov, were also Arabesque’s first performers and the creators of the young company’s identity. Lyubomir Goranov and Penka Encheva were the first directors of Arabesque. 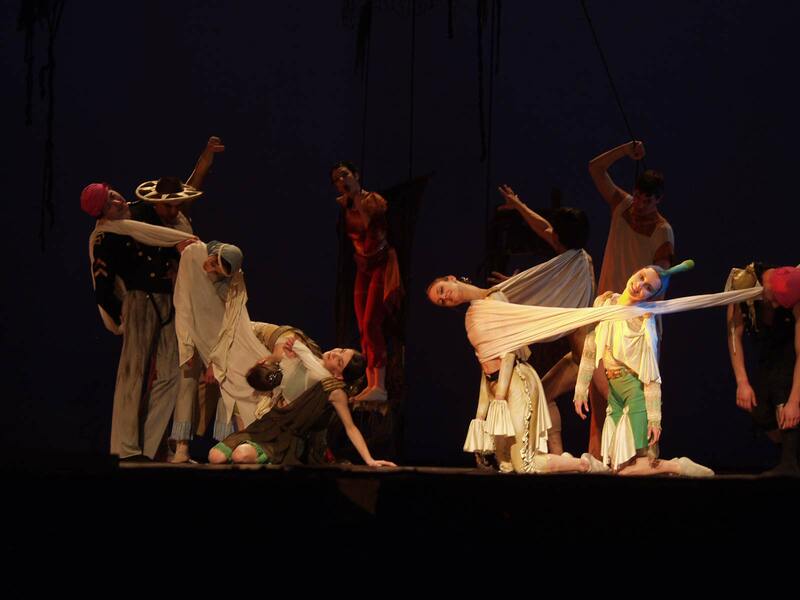 With their administrative support, the troupe has had productions staged by visiting choreographers mainly, such as A. Alonso, F. Andre, I. Nemechek, R. Manou, H. Correlli, and many others. The first Bulgarian choreographer to work with the newly founded company was Margarita Arnaudova (1941-1994). She was also its director for many years. 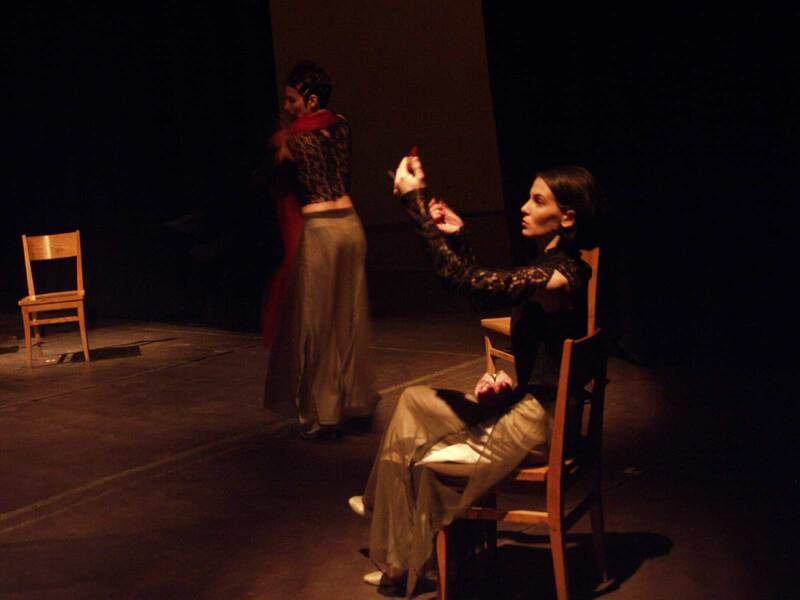 For a period of twenty years she managed to turn the experimental studio into the best contemporary Bulgarian theatre company with an impressive repertoire. She continued the tradition of inviting choreographers to stage performances of the ballet company. Among them were A. Leclerk, C. Djevietski, D. Bryantsev, Luc Boui, and most of the Bulgarian choreographers – P. Lukanov, A. Gavrilov, K. Bogoeva, M. Shopova, A. Yaneva, B. Sechanova and Mila Iskrenova. Margarita Arnaudova staged many dance productions, some of which are quite unique in character, like “Fire-Dancer”, “Midsummer Night”, “The Barrier”, “Bolero”, “Spring Mystery”, “A Root Deep in the Sky”, etc. Almost all of her shows were created together with artist Maria Trendafilova. 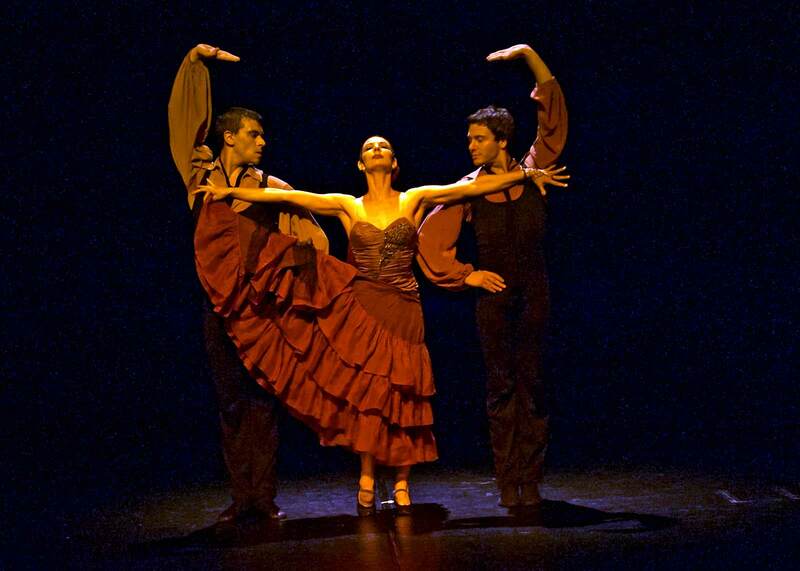 Margarita’s artistic ideas incorporated in her shows have played a significant role in the formation of several generations of ballet dancers. The new generation of soloists – Rozina Kamburova, Rumyana Markova, Valentina Hadzhiyska, Tatyana Marinova, Radostina Naydenova, Antonia Dokeva, Yuriy Zubarev, Georgi Mihov, Vladimir Ginkulov, Radomir Nachev – is characterized by a professional classic training, good actor training and thorough knowledge of contemporary dance techniques. 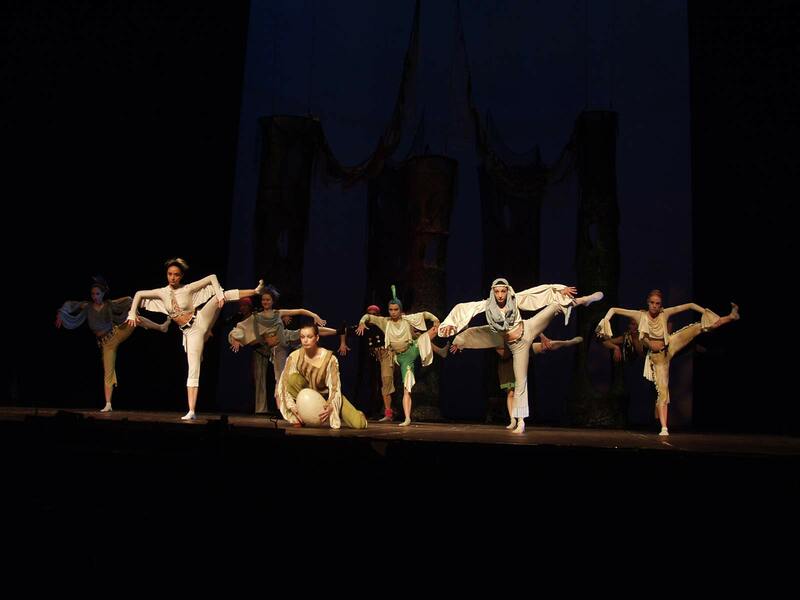 A number of prominent dancers from the National Opera continue to participate in the Arabesque performances. Some of them are Biser Deyanov, Boyko Nedelchev, Rumen Rashev, Yasen Vulchanov. A testimony of the multiple artistic abilities of Arabesque dancers is the fact that many of them have later distinguished themselves in the fields of choreography and ballet pedagogy. Anton Uzunov, Petar Parisov, Anastas Samev, Lili Beron, Elisaveta Marinova have become teachers and tutors. Anton Uzunov was a teacher and tutor of the company for many years. 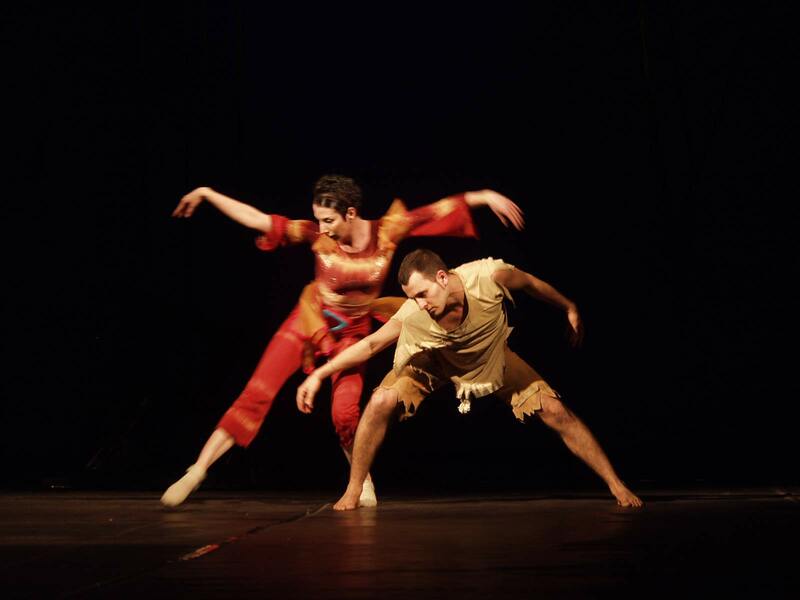 Antonia Dokeva, now a choreographer, has continued the tradition of creating Bulgarian folklore-based shows, like Blagovets, German and Enya. 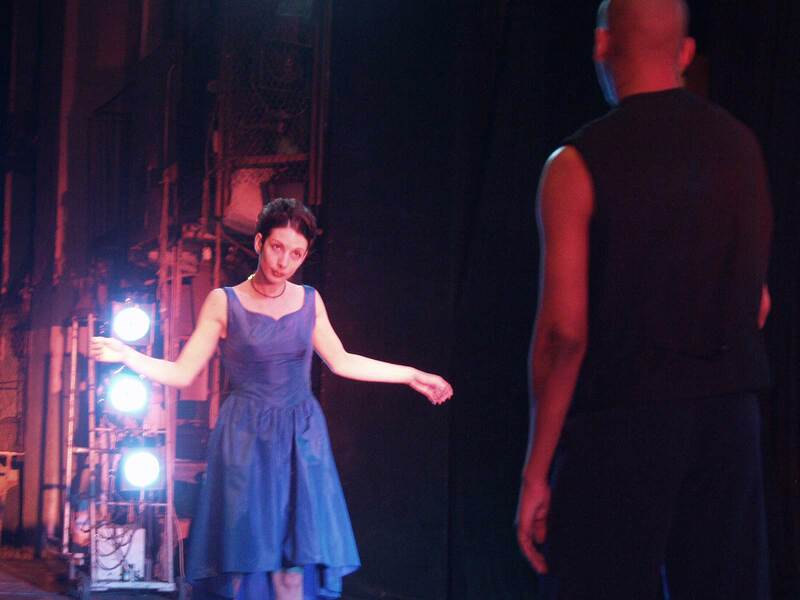 The prima ballerina Rumyana Markova was a choreographer and director of the company in 1999 and 2000. Between 1995 and 1998 the ballet director was Assistant Professor Kalina Bogoeva, first dancer of the National Opera of Sofia, a leading figure in the field of ballet teaching and an internationally recognized authority in dancing. She is the initiator and founder of the Arabesque Competition for young choreographers in the memory of Margarita Arnaudova. Choreographer Boryana Sechanova has been the director of Arabesque since 2000. 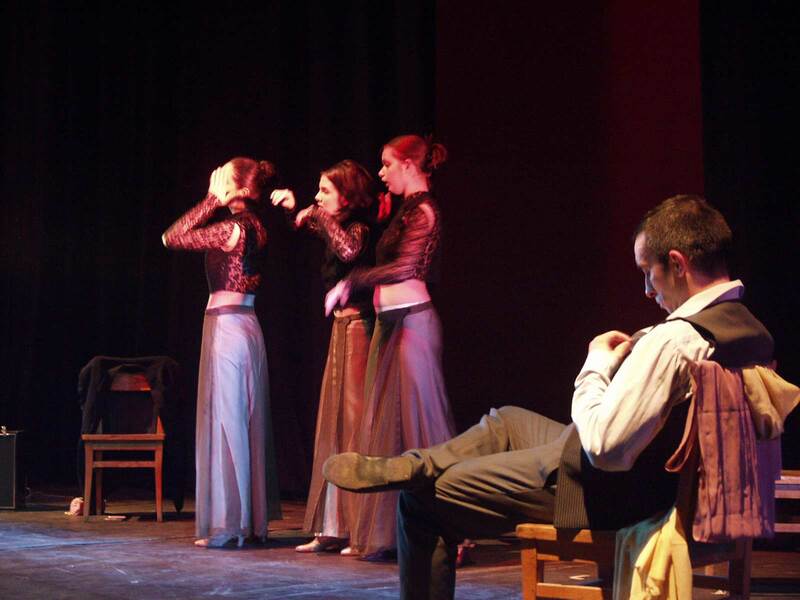 The program she has developed aims at the establishment of Arabesque as a dance lab where traditions and vanguardism provoke each other, as a theatre that provides the opportunity for perfection of new dance techniques and for realization of talented Bulgarian and foreign choreographers, dancers, scenographers and directors. Her shows (“Wedding”, “The Birds”, “Deep Blue”, “Wild Wine”, “3/4 Moon”) are distinguished by their original style of dancing that reveals her talent and professionalism. As the actual and spiritual heir of Margarita Arnaudova, Olesya Pantikina, who started out as a dancer in the company in 1986, is still inextricably bound with the fate of Arabesque. 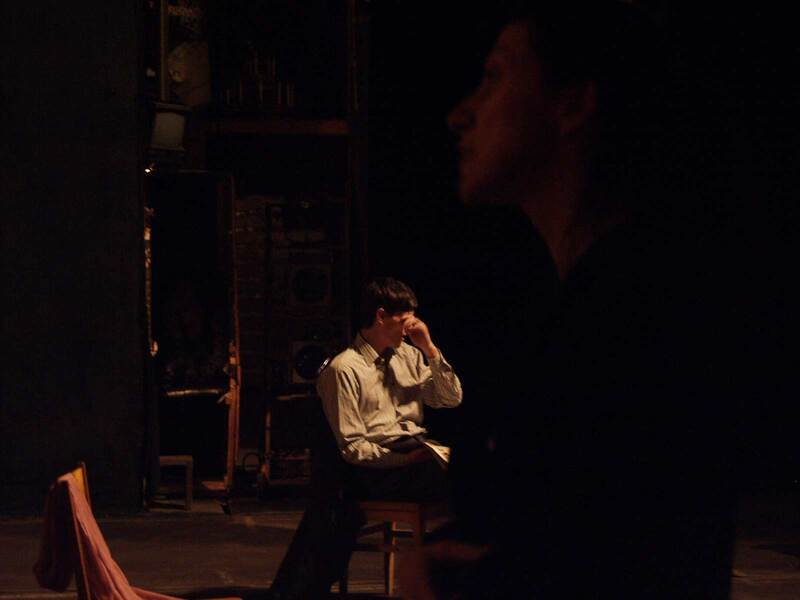 She made possible the staging of Margarita Arnaudova’s unfinished production, called “The Dog’s Hour”. With her remake of the emblematic “Fire-Dancer” (music by M. Goleminov, choreography by M. Arnaudova) and with the productions of “The Bathroom”, “On the Track of…” and “3/4 Moon”, the young choreographer has given her personal contribution to the present company. The already recognized choreographer Mila Iskrenova has an honorary place in B. Sechanova’s team. 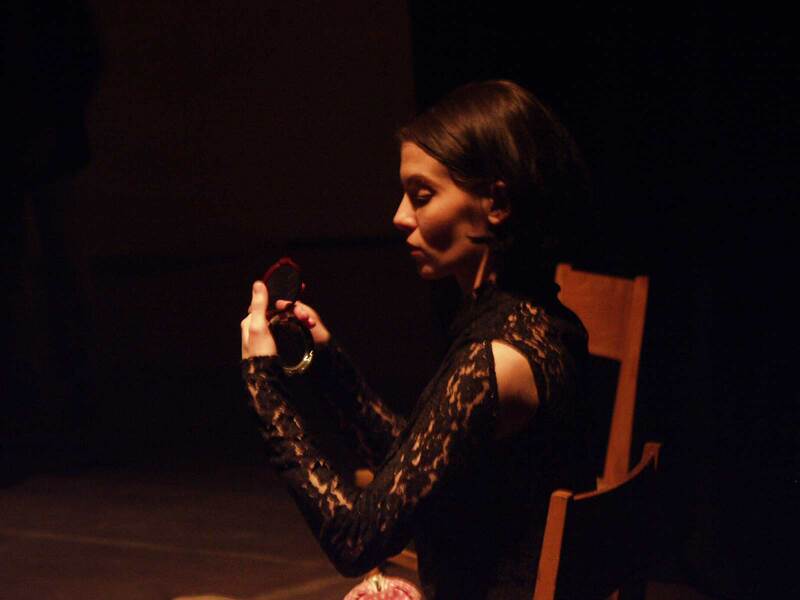 Her participation in Margarita Gradechlieva’s EK Studio and the knowledge she has acquired during her studies of modern dance techniques at the Palucca Schule in Dresden and the Dance Academy in Cologne, and of modern choreography and improvisation at Laban Dance Centre in London distinguish her as a highly qualified specialist in modern dance. She has created “Lynch”, “Cool Ashes”, “Threshold” and “3/4 Moon” especially for Arabesque. This has had a significant impact on the perfection of the company’s professional style. The energetic creative and administration team also works for the realization of new ideas and the establishment of the Arabesque Company in Bulgarian culture. Its members are Maya Mihaylova (Deputy Director and Manager), Tsvetanka Petkova-Stoynova (Designer) and Tanya Kostadinova (Financial Administrator). 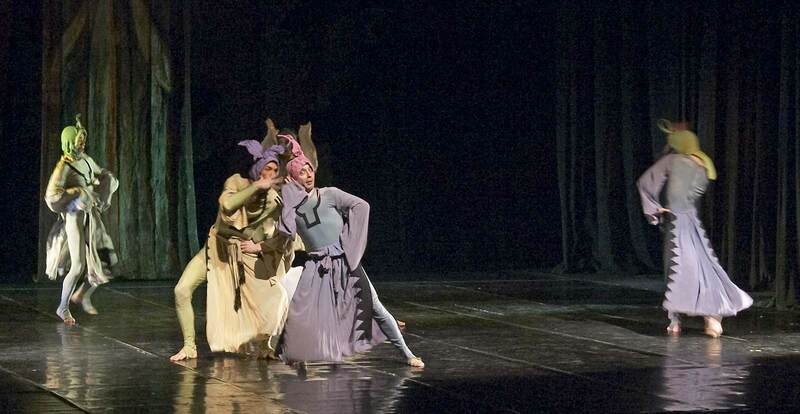 The numerous friends and partners of Arabesque work in different fields – there are the choreographers Margarita Gradechlieva, Galina Borisova, Rosen Mihaylov and Zhivko Zhelyazkov, the stage designers Ivan Tokadzhiev and Vasil Dokev, the musicians Georgi Arnaudov and Rumen Toskov, the critics Margarita Mihaylova, Anelia Yaneva, Vesela Grueva, as well as many others. The dancers of the Bulgarian ARABESQUE Dance Company are absolutely enchanting! The energy of the classical dance and the modern interpretation of national traditions are tightly knitted together in the Bulgarian ballet performances. 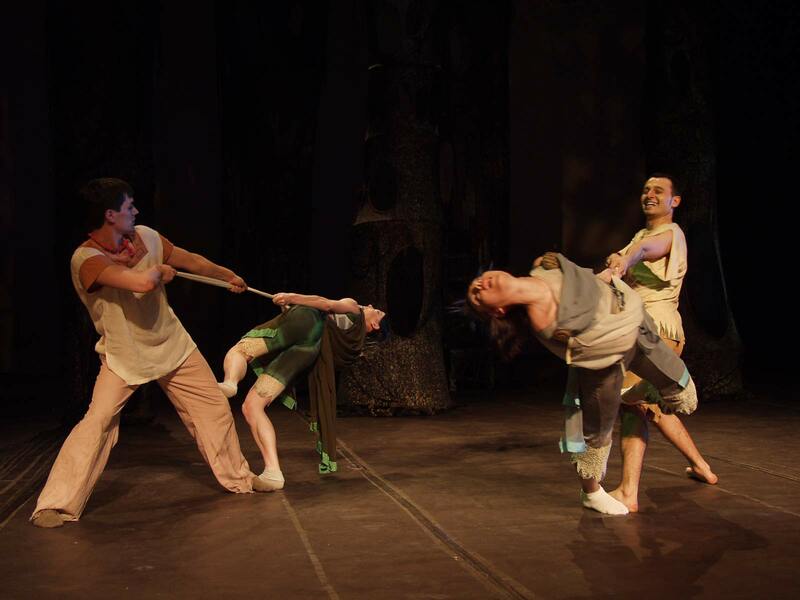 This is a ballet troupe that finds its inspiration in the source and expresses its vitality and lyrical inspiration to the full; it is a well-balanced troupe with excellent dance technique. 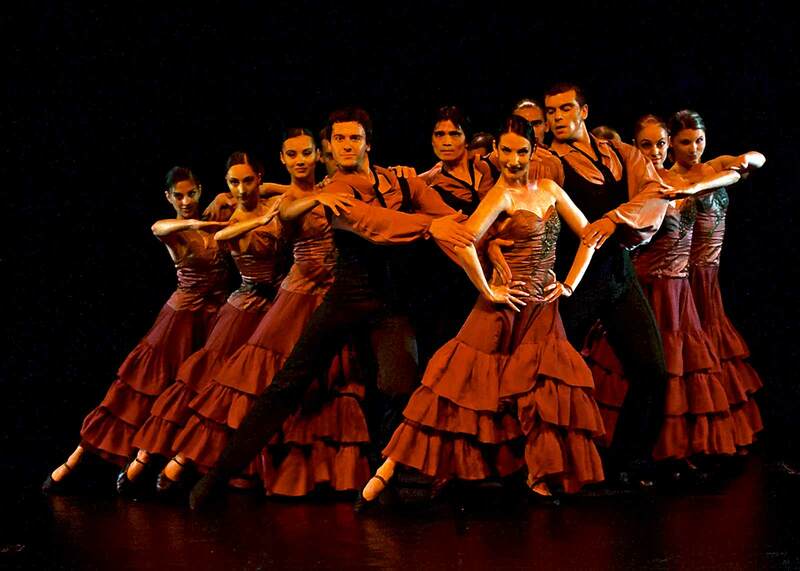 The ARABESQUE DANCE COMPANY is a flawless dance group with great artistic achievements and fine motion techniques. ARABESQUE ballet group exhibited genuine Bulgarian charm at the Danube Festival closing ceremony and was distinguished for its highly professional performance and a choreography that was full of fantasy. The Bathroom performed by ARABESQUE goes beyond private space. Olesya Pantikina’s modern ballet is worthy of sharing the stage with the world’s best examples in this genre. This is a young, vital group, a pulsating body of eternal rejuvenation. Moreover, it has mastered to perfection both classic and modern styles. A woman baking bread. From the different ingredients combined in the baked goods, from the precise science of baking to the chaotic science of life – “half cup of sesame seeds” tells the story of the emotional and spiritual movements inside the baker’s soul. At first, the mood expressed by the choreography of Boryana Sechanova seems ironic and playful. The motif of the implacability of Fortuna predominates beyond this frivolity and irony, which we encounter both in the lyrics of the medieval collection that inspired Carl Orff to create his musical settings «Carmina Burana», and in this interpretation by Ballet ‘Arabesque’. It is Fortuna that rules over human lives, directs our actions and trifles with people. The work is based on duality. Just like identical souls the characters are asynchronous to one another. The performers from Ballet “Arabesque” created this dance piece during the workshop conducted by the British choreographer Liz Lea (13-25 March 2005). The performance, interweaving Indian dance forms, is a result of the intensive preparatory work and rich experience of “Arabesque”. The American choreographer, Roger Jeffrey, conducted a two-week workshop in May 2005, at the invitation of Ballet “Arabesque” and the American Cultural Centre in Sofia. As a result, the piece “Sequence” was born. 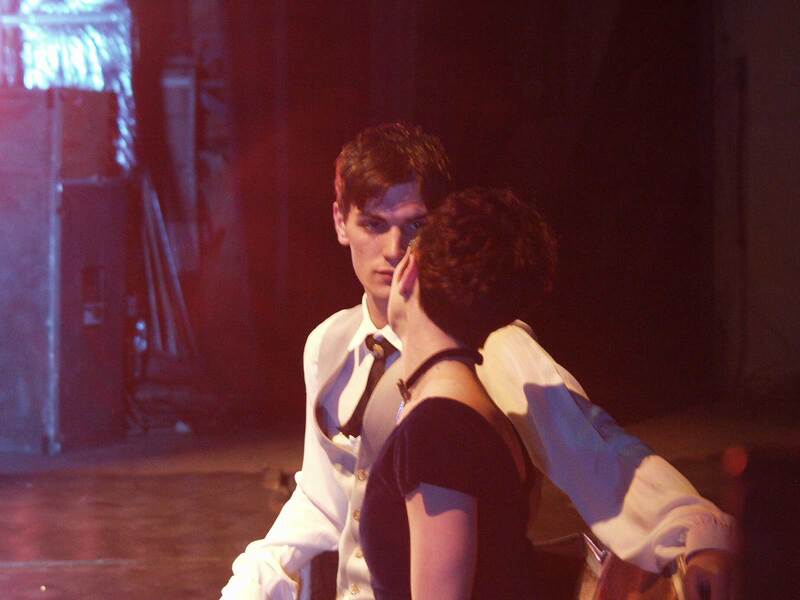 It follows the development of a few couples, their balance and interaction, in a changing sequence depicting the relationships between sexes through the prism of contemporary choreography. The contacts between a man and a woman are presented as successively developing episodes, like pieces of a mosaic attempting to recover its wholeness and integrity, or like fragments of a torn communicative system re-establishing its unity. 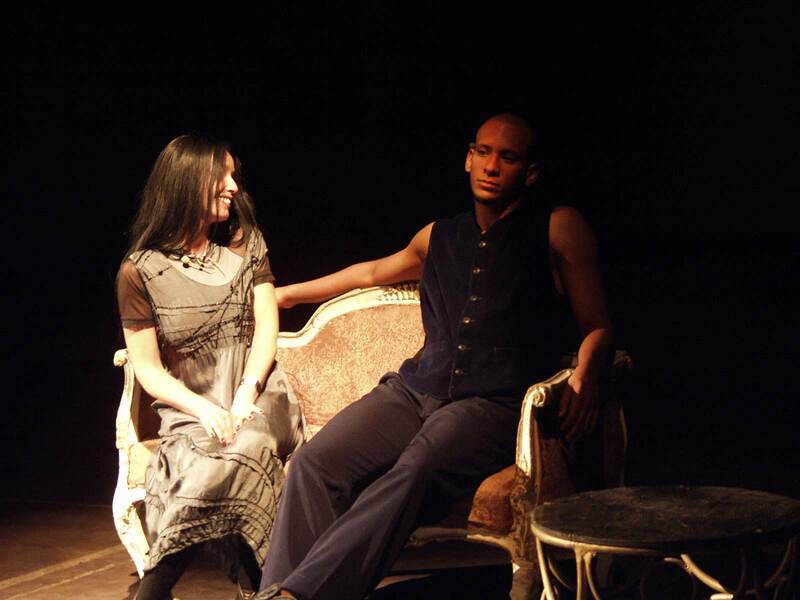 FLIGHT is a contemporary post-modern five-act tale full of humour and irony. 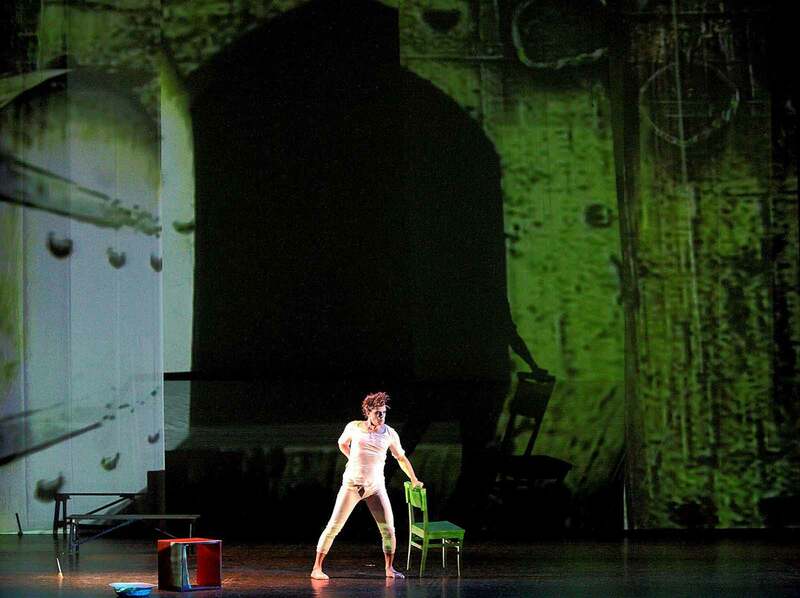 The choreography uses diverse styles and techniques to present different love stories by creating a gallery of approaches – silent film, romanticism, surrealism, abstract art and expressionism. It is all based on music especially created for ARABESQUE by Swedish composer Rikard Borggard. The HAIR Musical (written in 1967) belongs to the top ten musicals of all times and has reached a record number of 1,742 performances on Broadway. There have also been hundreds of productions worldwide for a period of 37 years. 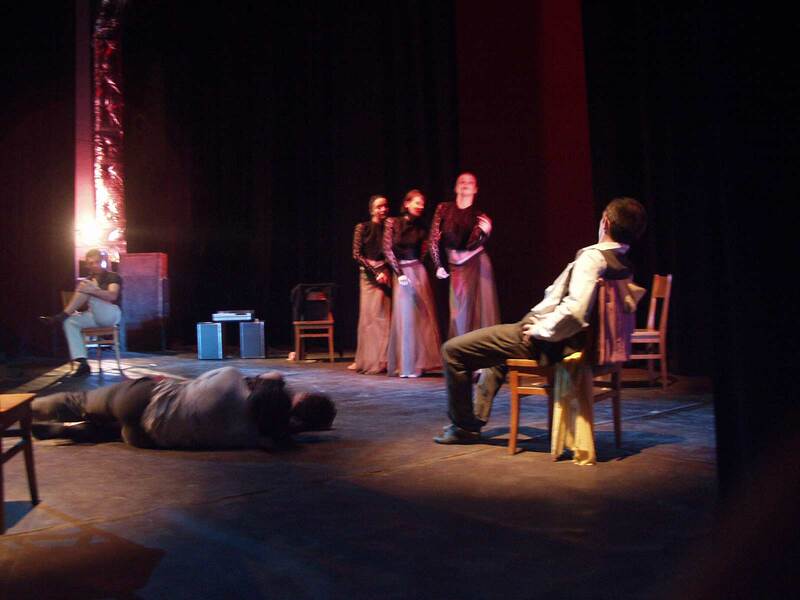 It is a co-production of ARABESQUE and Sofia Theatre and it has no equivalent in Bulgarian theatre tradition, being the first original American rock musical in the national repertoire ever. 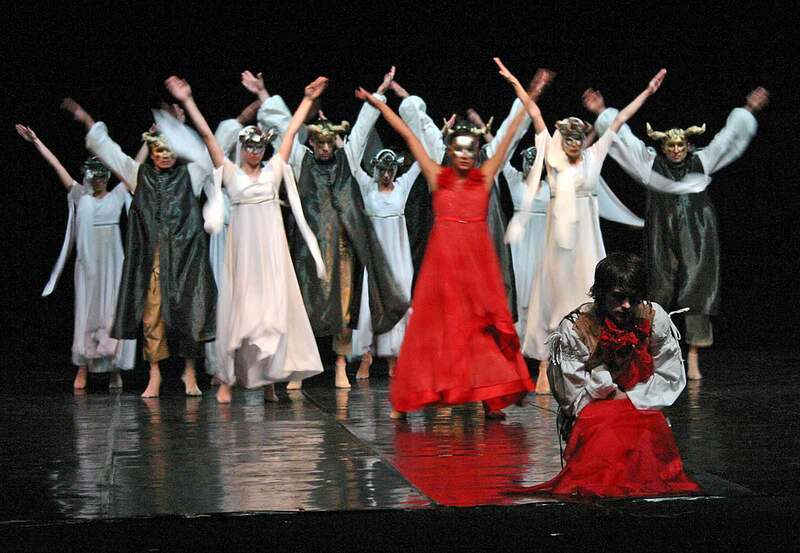 Moreover, it is the first staging of this world-famous musical in Eastern Europe. 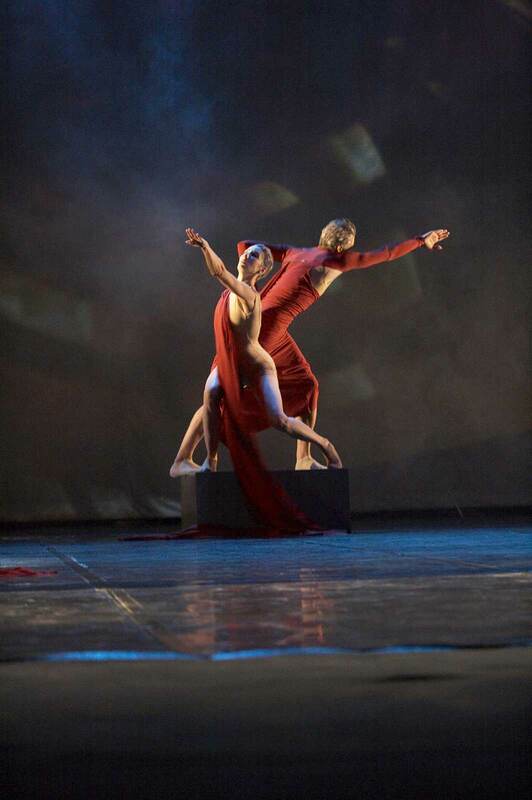 Aeon (air) is a joint project of London-based Random Dance Company and Arabesque. 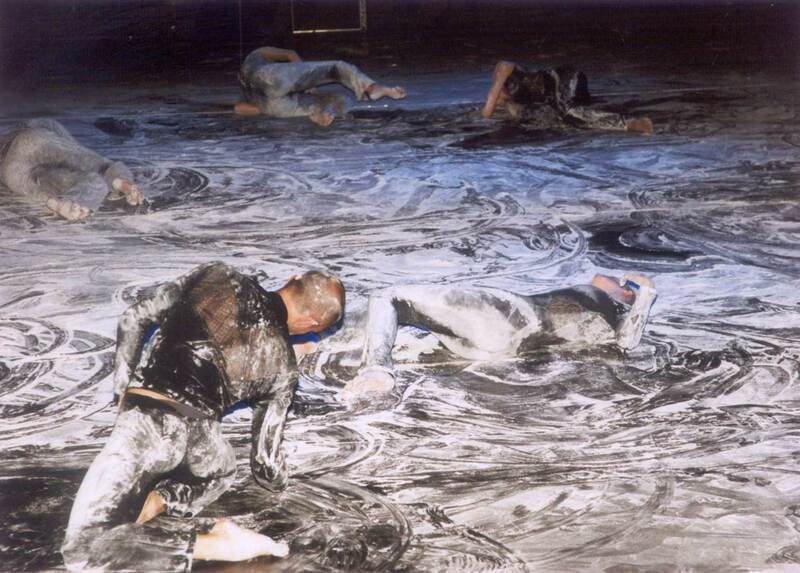 The performance has been staged all over Europe, America and Asia and is the final part of a trilogy that began in 1998 with Millennarium (water) and Sulphur 16 (fire) in 1999. This is a multimedia show for eight dancers and their virtual partners. It is a fresh look at dance and the new technologies, and it has stimulated each aspect of the creation of the show. McGregor’s physical vocabulary pushes dancers to amazing new limits with its speed and mesmerizing movements, questioning and exploring ideas about the human body. 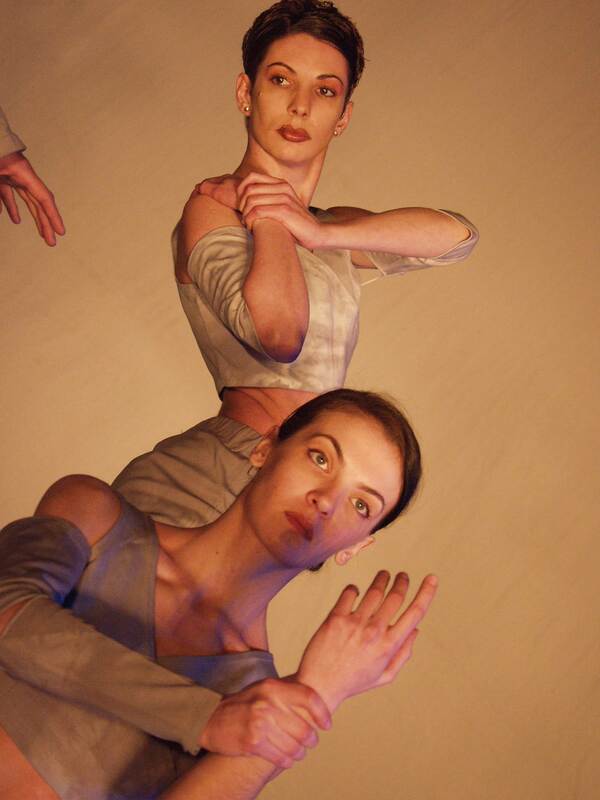 The choreography “argues” with gravity – the dancers move with ethereal ease, creating the illusion of weightlessness. This is a dance performance of the male dancers of ARABESQUE. 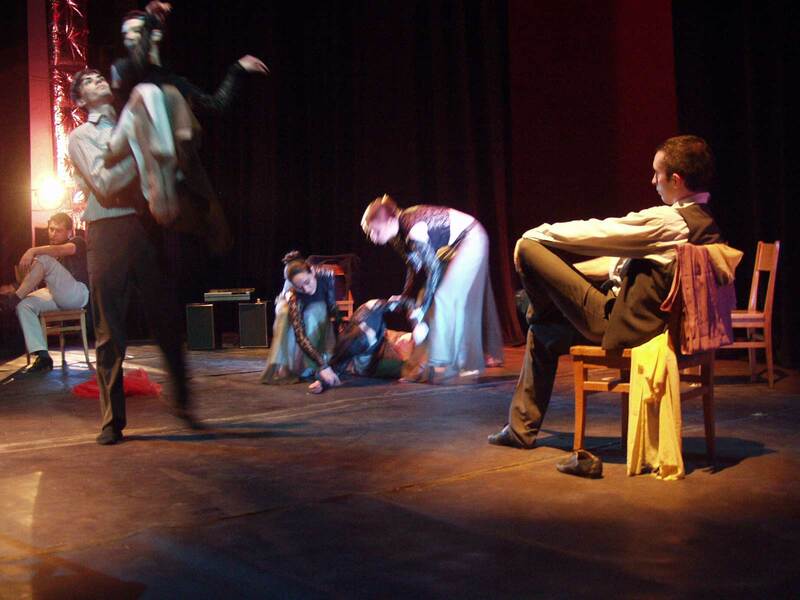 Using contemporary ballet techniques, it develops a hypothetical personality with six different traits of the male character – strength, belligerence, sense of humour, dreaminess, vitality and cruelty. It is an alloy of contemporary language of dance and original folklore motifs of the Orient. The strategy of a chess game and the related conflicts could be realized in a modern sharp creative reflex. This is a contemporary interpretation of interrelations provoked by ten moves in a great chess game. Dissecting one chess move (the collision between two chess figures), which may be the point d’appui, reveals the functioning of a system and the human development within it. Classical modern dance with ethno motifs 30 min. The plot is based on an ancient Bulgarian ritual – dancing over fire on the Day of the saints Constantine and Helena. Christians by faith, the fire-dancers have made strong impression with their exaltation, moods and fortune telling. The waltz, the dance of the two past centuries, is related to the complicated development of humanity. Homo sapiens is aging between dance and war without becoming wiser. 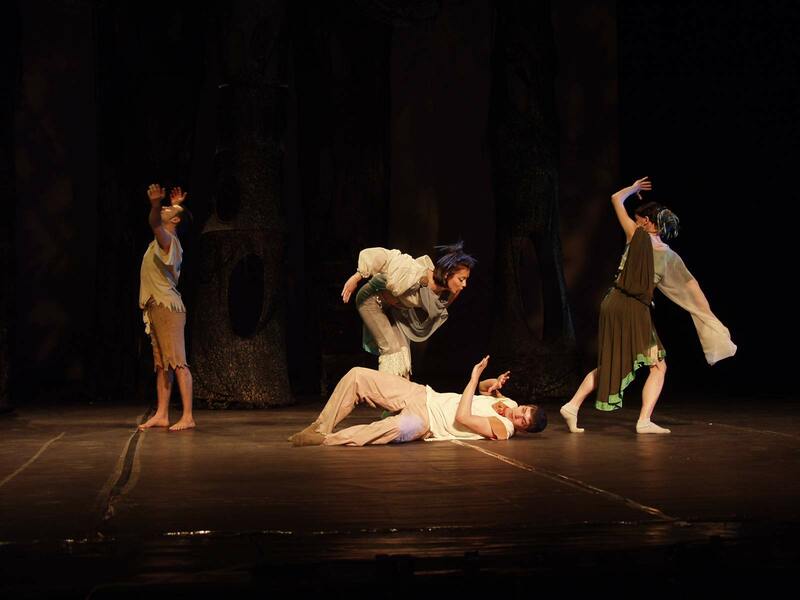 A dance comedy, a parable based on Aristophanes’ play of the same name. The myth about the misfortunate Thracian tsar Tereus who turned into a bird marks the era of replacing the old gods with new ones. What are the birds? Who are the gods? And where are the humans in Nature’s hierarchy? Can the infinite be limited? The movements of the dancers are challenged by the limitations of the body. It is a feeling as if you were on the threshold of permanent desire. We are on the threshold of our own selves – always outside the forthcoming fusion with our identity. DEEP BLUE: Does love make us happy? And does it make the one next to us really happy? ON THE TRACK OF…: An attempt to articulate love without words. A search for signs, scents and innocent violence belonging to timeless reality. A look at the scene here and now as a unique opportunity for a physical object to be simultaneously a part of two different time dimensions. LYNCH: Solitude is a personal privilege. A desire to overcome the limits of gender. Should it be punished? This is a three-piece program, based on old Bulgarian rites. GERMAN: German is built upon Bulgarian folk rituals. 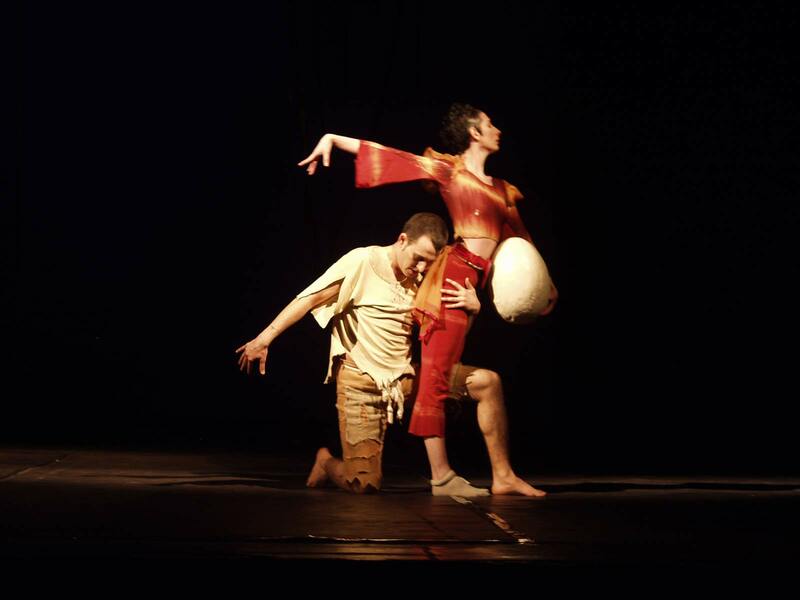 The choreography is centred on the ideas of earth and fertility. German is desperation and hope, thirst and satiation, life and death. In this piece A. Dokeva pursues the intuitive and the primal. And every time after this German, the rain comes! 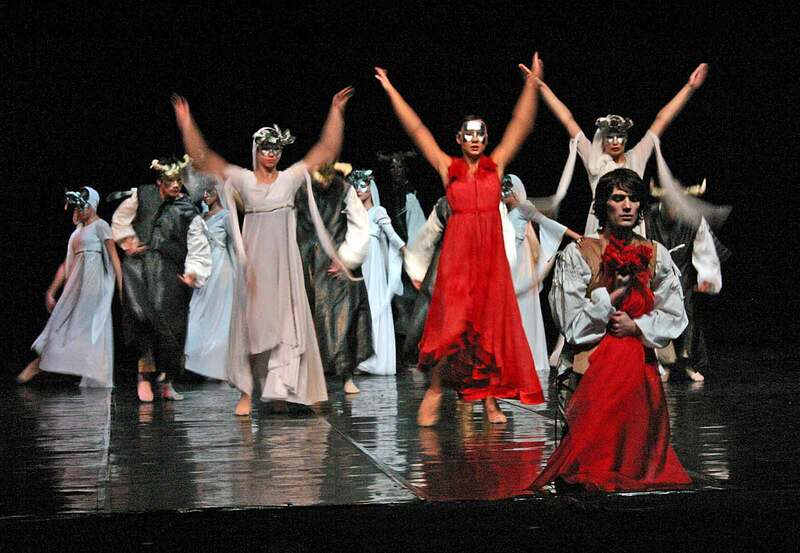 ENYA: A ballet performance devoted to the Sun and the Midsummer Day, 24th of June. Enya is the burning desire to achieve what is forbidden. My Angel is a parable about fate. Fate, the almighty and implacable Angel, is like Valkyrie who gathers the heroes killed in battle. She brings the wounded hero into the hands of the woman. The woman as a symbol chosen by priestesses. The enchantment of sacrifice. Angel, love, life and death – they live in all of us. This is a romantic performance saturated by the fragrance of the sea, old-time songs, sweet memories and love. A touch of humour and sarcasm accompanies the longing for the years past and nearly forgotten. 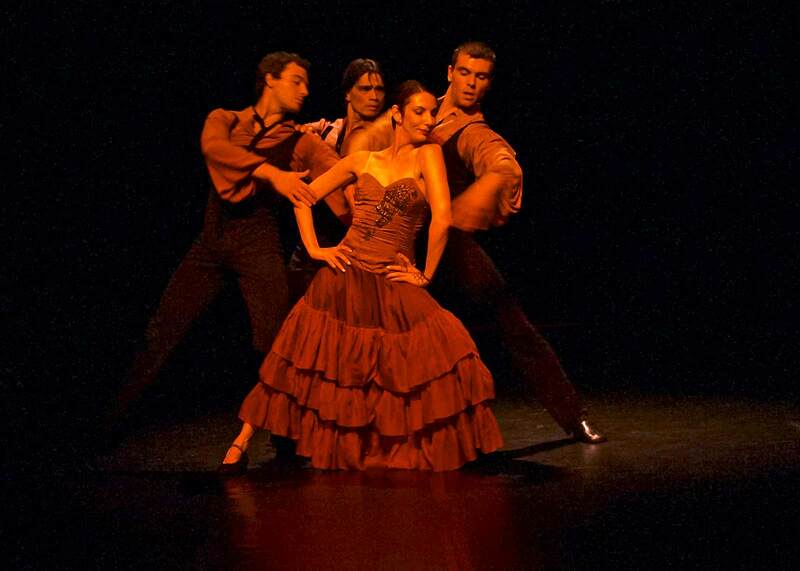 The choreography is based on Spanish folk dance motifs with a touch of modernity. This is a piece with an impressive atmosphere. 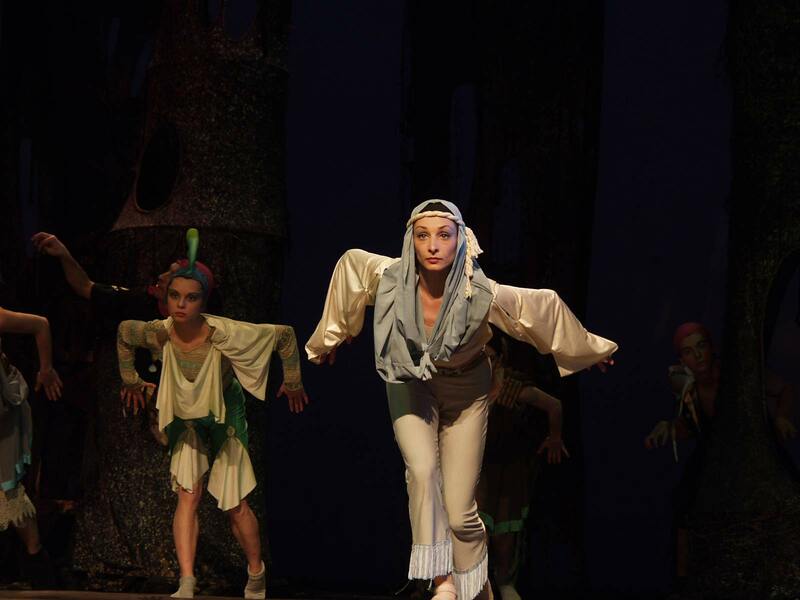 The original production was done by one of the great Bulgarian choreographers, Margarita Arnaudova, in the late 80’s. This performance at the beginning of the 21st century is our deep bow to Margarita Arnaudova’s exceptional talent.